Michaël Braeckmans saw the first light in 1993 in Leuven (Belgium), after growing up in Berlare he returned to his roots in order to study his passion: history at the KU Leuven. He is finished his bachelors in history this year, and he is pursuing his masters in anthropology. By doing so he would love to work and cooperate with an international NGO. He is a man that is easily fascinated in a variety of subjects. The human psyche, human behaviour, and he has a heart for the beauty of nature and current technology. Linking the past with current international topics is what Michaël tries to achieve, the roots of these problems –and often their solutions- lie within their historical context. He has participated in five MUN’s and has organised two. He is thrilled to be the Crisis Director of TICS 2016, and is looking forward to see how the young diplomats will respond to the crisis and the dance moves they come up with in the evenings. Giorgia Tzar is an experienced MUNer and Queen of Narnia. Having completed her Bachelor of Arts in history and Slavic studies, she plans to continue her education in Global Studies next year. She has chosen to participate in Tübingen’s inaugural Crisis Simulation to get back in touch with her former university and the MUN world. Maurice Thaidigsmann is a 22 year old (M)UN-enthusiast from Tübingen. His MUN career started in Highschool in 2009 and then continued with university level conferences, making TICS 2016 his 21st conference! Having participated in a crisis simulation before once as a minister, he is incredibly proud of experiencing it again in the first international conference of Tuebingen! Studying political science and public law in his final semester, he loves international affairs and its legal aspects. As a crisis manager, he is looking forward to applying these fields to offer ministers the most realistic, politically (in-)correct and legally on-point simulation possible. Besides MUNs and civil activism, he also likes reading, watching good movies, political and philosophical discussions, parties, friends, puns and food. Camille Gosset comes from a half-French and half-Italian background. She lived in France until the age of 14, when she moved to Minnesota, USA, to complete the International Baccalaureate Programme. Currently, she is in her third year of a Bachelor’s Degree in International Relations and Economics at the University of Reading, in the UK. It is as a student in Reading that she started to be involved in MUN, participating in several conferences in the UK, and helping to organise ReadiMUN, the Reading University International MUN Conference. She is now Secretary General of ReadiMUN, which is also a TICS partner. She has just spent the 2016 summer semester in Tübingen as an Erasmus student, and is thrilled to come back for TICS! 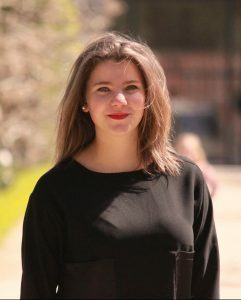 Emma Vermunicht is officially studying Political Science at the Catholic University of Leuven/KU Leuven, but currently on a semester break, also called Erasmus, in Paris at Sciences Po. As a passionate MUN’er, she is always up for new challenges, and being part of the crisis team in the Tübingen International Crisis Simulation is indeed a perfect opportunity. Besides taking care of the Public Relations of KU Leuven Model United Nations and crashing at MUN’s, she loves to travel around and discover new places. In conclusion, she would like to quote this wise man who once said: “We’ve got to be judged by how we do in times of crisis.” Emma is therefore ready to start judging away in this crisis simulation, and looking forward to meeting everyone! 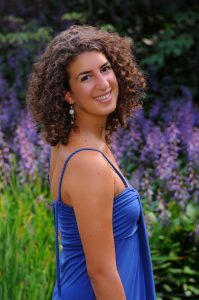 Nicola Schneider is 21 years old and studies law in Tübingen in her sixth semester. 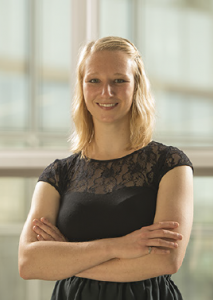 In 2016 she returned from a one-year study abroad in Peru and Ecuador, where she studied in Lima and did an internship at the German embassy in Quito. She has met many amazing people abroad and made so many unbelievable experiences. This is exactly why she participates in TICS 2016 – it´s about meeting new people from many different places, connected by the common interest in international politics. In her free time she loves to do sports, especially running, skiing and outdoor-activities. She is also obsessed with traveling and when she is at home she enjoys baking and eating the products with friends. She is looking forward to getting to know you all in Tübingen! 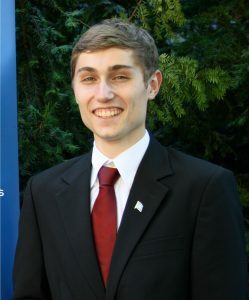 Felix Johnston-Brunn is a twenty year old Politics and International Relations finalist at the University of Reading. 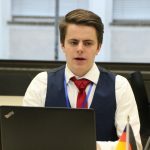 Felix began his MUN career in 2015, participating in ReadiMUN 2015, KULMUN 2016, as well as a one-day MiniMUN at the University of Tübingen during his semester abroad. 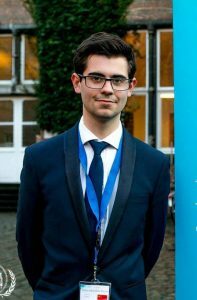 Through his membership of Reading’s MUN society, Felix has become interested in diplomacy and international law as possible future career/ academic pursuits and is looking to work for an international body such as NATO or the UN in the long-run. 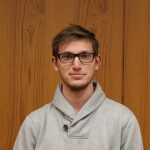 Felix’s particular academic interest relates to the Middle-East, and this year he will be writing his bachelor’s thesis on ‘Why did the Arab Spring fail in Egypt?’. 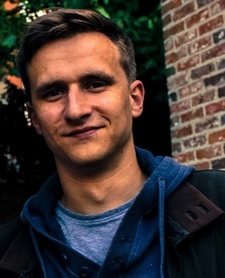 Whilst the topic for TICS is not related directly to his studies, Felix decided to apply for the conference in order to better understand how crisis simulations work and because of the conference’s unique format. “We are what we repeatedly do. Excellence, then, is not an act, but a habit.” – Aristotle. Edouard Hanin, born in Brussels but raised in a rather international environment. Hence, as a kid, he lived in the Democratic Republic of the Congo, Burundi and most exotic of all, the Netherlands! He is currently residing in this beer drinking, chocolate and waffle eating country called Belgium where he studies to become a Health, Environment and Safety Officer. In today’s World we are constantly challenged by crises. 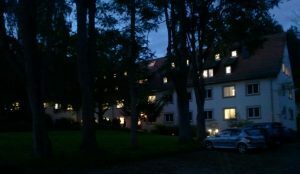 Therefore, International Crisis Simulations like the one in Tübingen are an ideal platform to train the required crisis management skills. Crisis is something difficult that requires an open-mindedness, clear thoughts and a drive to always go forward. 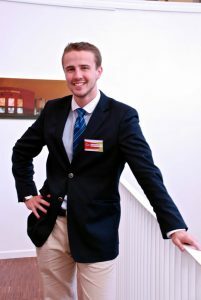 Edouard is looking forward to help and guide delegates in the aforementioned skills during the crisis simulation. Don’t be afraid to ask him questions, he will always try to help you as good as he can. “If you can’t fly, then run, if you can’t run, then walk, if you can’t walk, then crawl, but whatever you do, you have to keep moving forward” – Martin Luther King Jr.
Maik Toßerams decided to leave the Rheinland and it’s big cities in 2013 and moved to Tübingen. Like many others before (Goethe, Gandhi and Gaddafi), he started law school and so far hasn’t gotten tired of it. Thus he begins his 7th semester here in October. 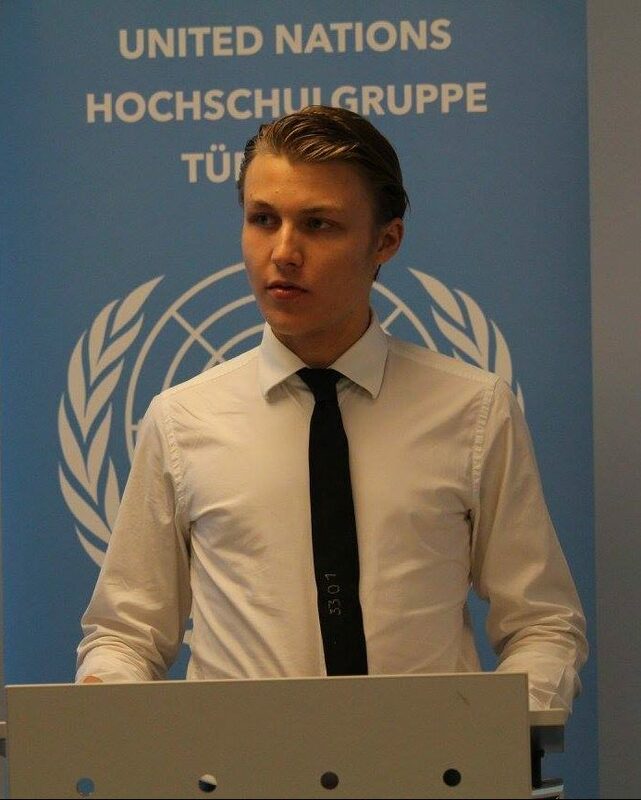 Having participated in MUNs in highschool, he joined the UN Student Society Tübingen in 2014 to partake in legendary events like the “Hütte Wochenende”, MiniMUNs and other serious projects and meetings. He heard many lectures in international law and sees himself as a cosmopolitian. Paula Dewes first discovered her love for MUN when she attended Johns Hopkins Model United Nations Conference during her year abroad in the US. Since then she has attended several Conferences as delegate and as chair. She especially enjoys crisis based conferences, which is why she is very excited to be serving as crisis manager for the first time. 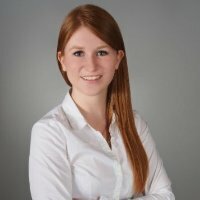 She is currently studying molecular Biotechnology at the Technical University Munich as well as Business and Economics at the online University Hagen. Therefore, the topics of Resources and the Environment environment are very interesting to her and she cannot wait to gain a deeper understanding of them with all of you. We do have a wide range of different sponsors. Check them out here! Visit our Facebook Page, and leave a like to stay updated!